At QComp, we strive to be innovative and customer focused to provide solutions that improve our customer’s business. 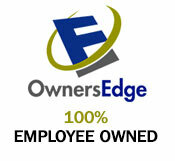 Many of our customers require a higher degree of accuracy, finesse, and gentle handling. One such customer needed a solution to accurately and gently pick an insulated glass (IG) unit that would then be placed in a frame. 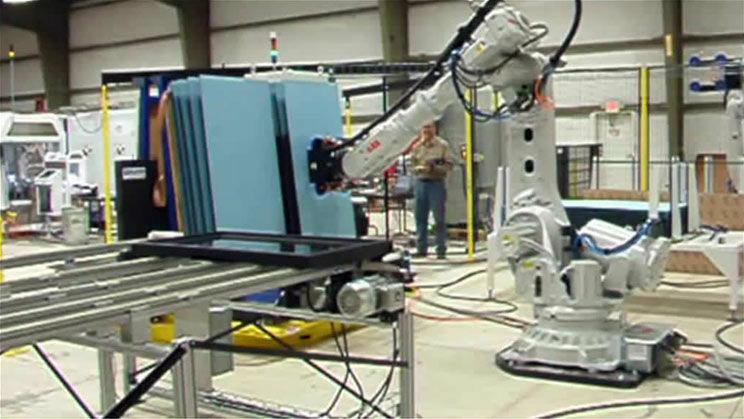 QComp engineers designed a cell layout to accomplish this task featuring 2 robots and squaring fixtures. The frames being used receive a sealant at an upstream process before entering the QComp cell. In the cell, the robot picks the IG unit and places it into the frame. QComp engineered a squaring fixture to accurately locate the random sized frames. The frames range in size from 14 by 20 inches to 24 by 84 inches. The developed cell layout and associated squaring fixtures ensure a reliable assembly process. Once the finished glass, door, window etc. is complete a second robot picks the assembled unit and gently places it onto an L rack. This robot additionally places an interleaf piece of material between each unit.